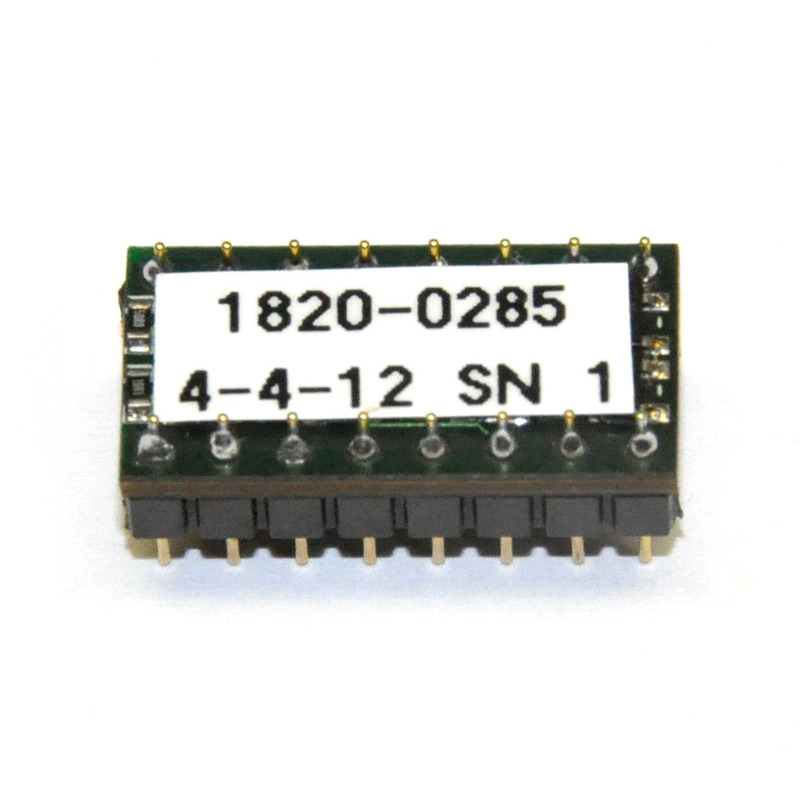 This adapter will replace the HP proprietary 1818-2270B ROM used in the HP 3455A multimeter. Do you have an HP 3455A voltmeter with a bad inguard ROM? If so, this is the part you need. 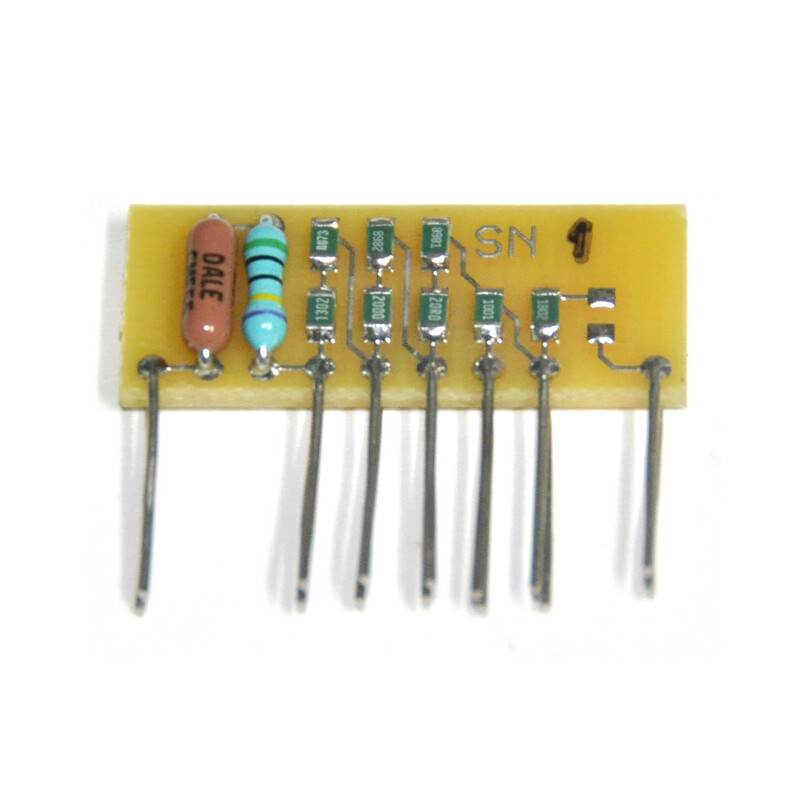 The inguard ROM chip in this popular meter is a 100% custom HP part, but with this adatper it is a simple matter of unsoldering the original and soldering in a replacement. Absolutely no other modifications to the instrument are required. 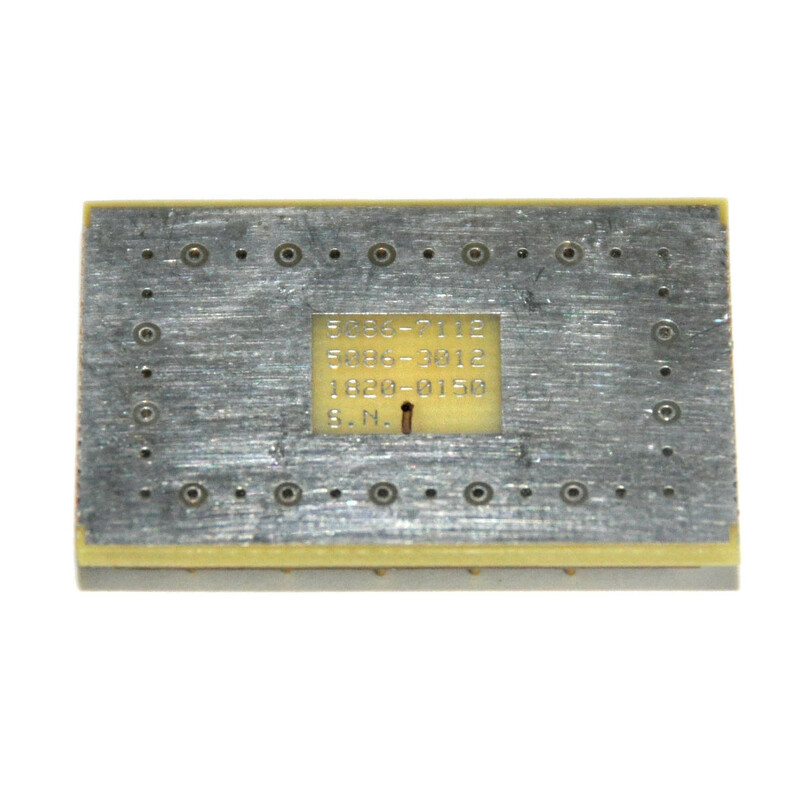 If your 3455A happens to have the 1818-2270 in a socket, don’t worry – this part uses Batten and Allen PCB edge pins which exactly replicate the shape of DIP pins, assuring compatibility with all DIP sockets. 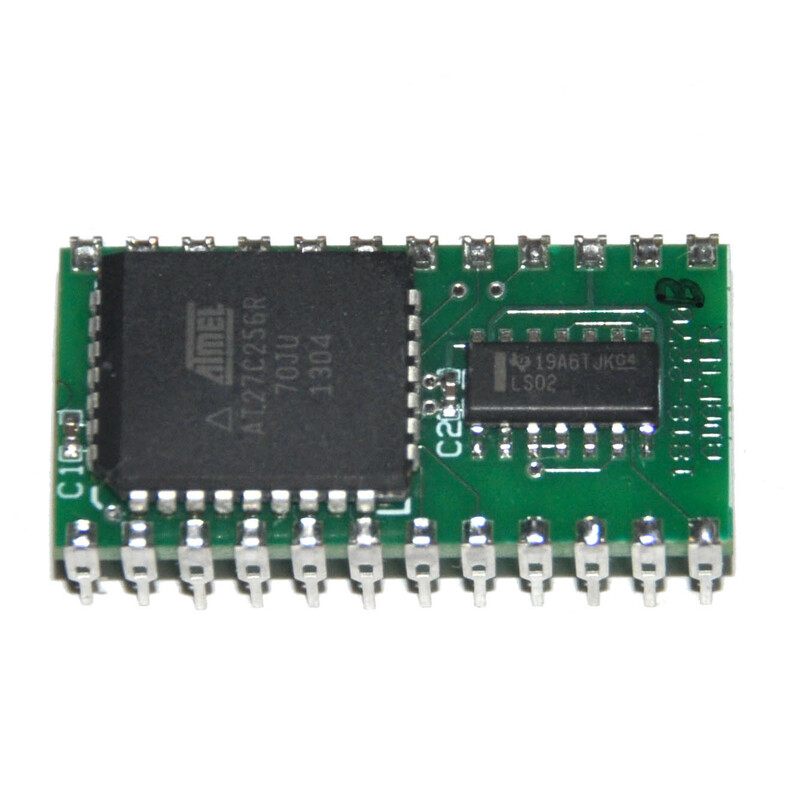 If you are not sure if your voltmeter has a bad ROM you can easily test the original ROM chips in your meter using my EPROM programmer universal adapter. For more information, please see the product here. 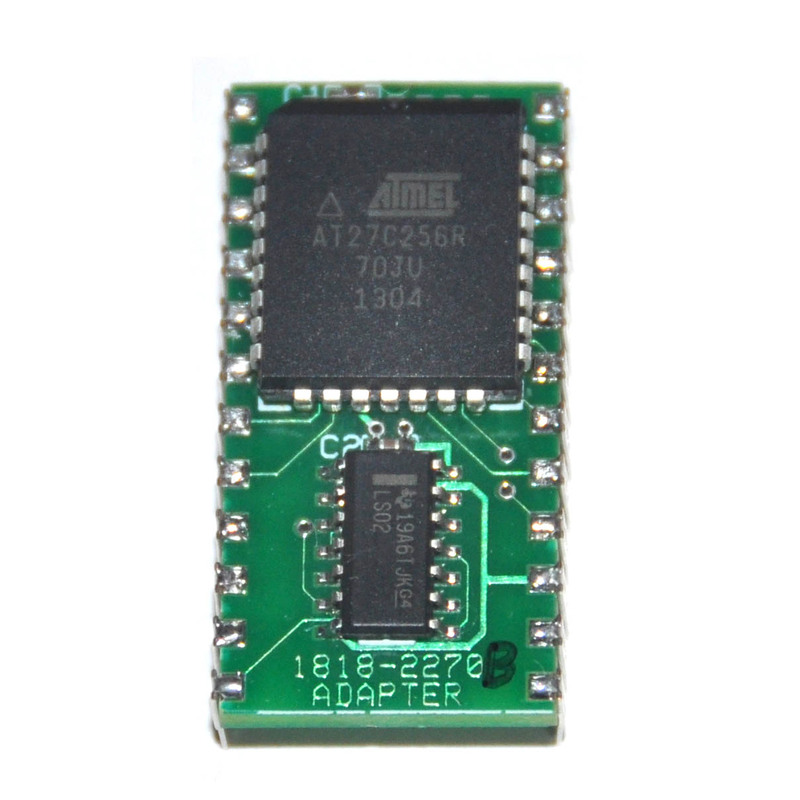 The outguard ROMS are pretty standard for the era – they are MOSTEK MK31000 which are equivalent to types 2316A, 8316A, AM9217, and prehaps others as well. This same pinout was used for a whole lot of 2k PROMS. One thing to note is that the CS lines are programmable on these and HP chose to make CS2 and CS3 (pins 13 and 14) active low but CS1 (pin 15) active high. The inguard ROM (0.5kb) is much more interesting. It is a 100% custom HP part and besides an odd pinout it is unique in two ways. First it requires -2V and +15V supplies. 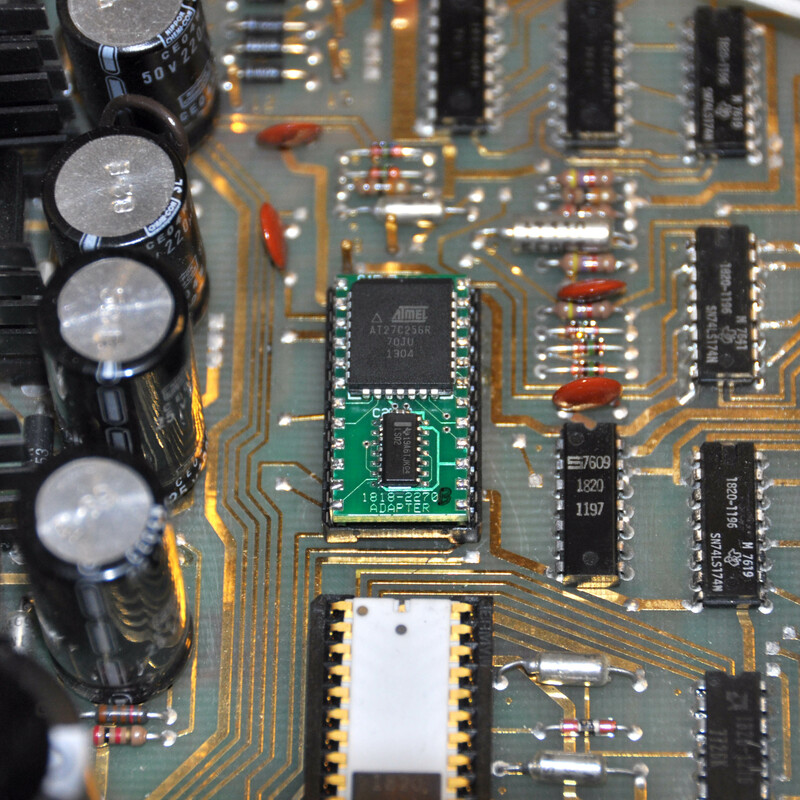 It was not uncommon for early ROMS to require a high voltage supply as well as a negative supply (think 2708 or 2513), but these supplies were almost always +12V and -5V. The second odd thing, and this is really odd, is how it does chip select. In order for the device to be selected pin 12 has to be in the opposite state of pin 13, the highest address line. Put differently, ~CS = XNOR(pin 12, pin 13). 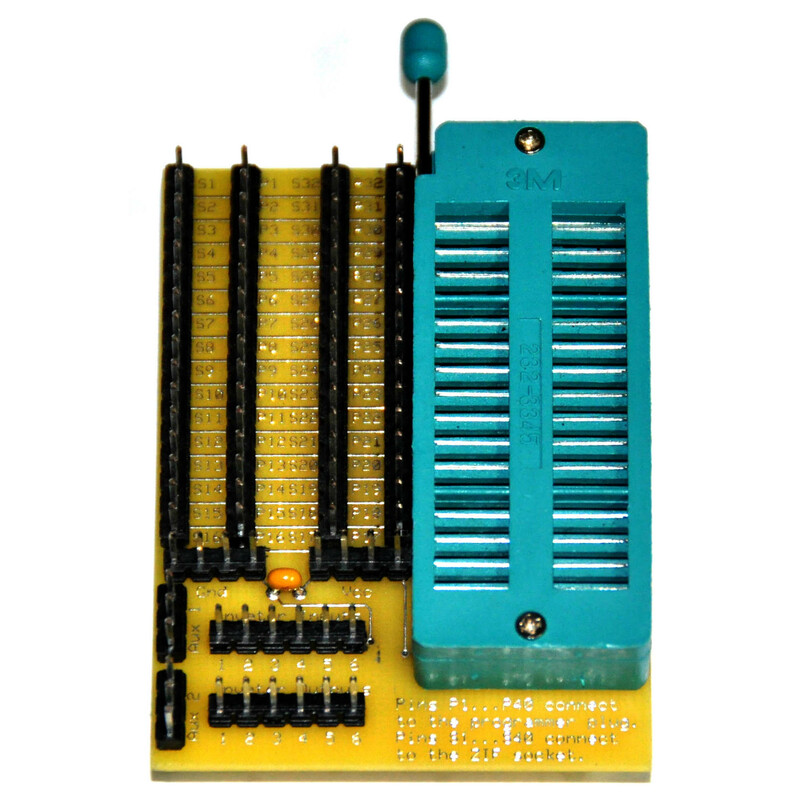 My replacement uses a 74LS02 to implement an XOR gate and recreate the original chip select functionality. 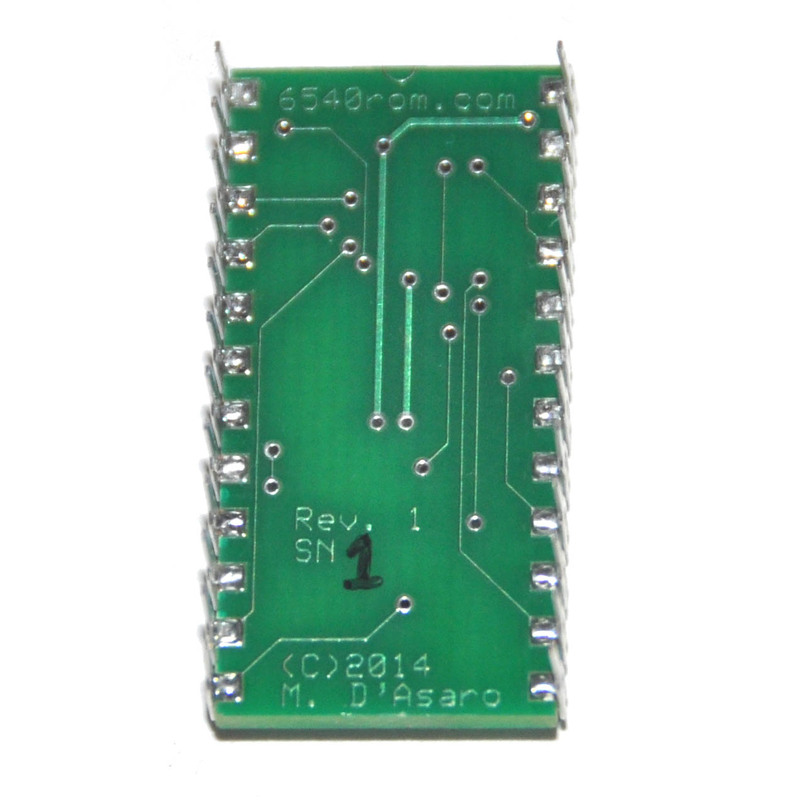 Download the schematic and PCB layout for this product here. Note that these files are available for PERSONAL, NON-COMMERCIAL USE ONLY. In short, you are welcome to use them to build this product yourself, but you must contact me to work out a commission if you wish to sell anything derived from them. This product was designed in ExpressPCB so you will need to download a copy of that software from expresspcb.com before you can view the files. Be the first to review “Replacement Inguard ROM for the HP 3455A Voltmeter (HP P/N 1818-2270)” Click here to cancel reply.